A new survey, led by LASP Director Daniel Baker, brings the next decade of solar and space physics closer to home. 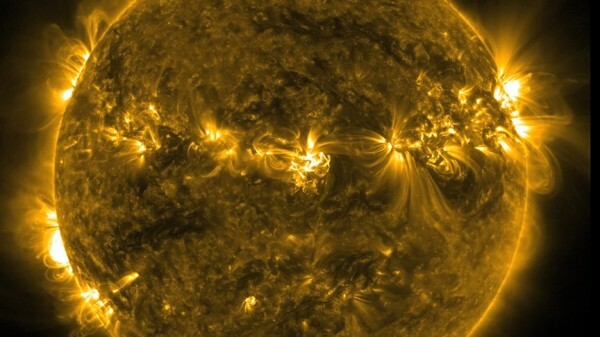 The National Research Council (NRC) 10-year plan recommends that heliophysics research focus on the near-Earth environment in order to better understand how the Sun and space weather impact phenomena on Earth. Baker chaired the committee of over 85 physicists and engineers that developed the report. The last decadal solar and space physics survey emphasized the effects of solar activity on space weather. The 2013-2022 strategy is the second NRC decadal survey in heliophysics, and introduces new scientific goals that stress the need for space weather forecasting and research on the societal impacts of solar forces. The four overarching research goals that Baker and the committee propose include predicting variations in the space environment that are caused by solar activity; understanding how Earth’s atmospheric layers respond to forces generated by the Sun; investigating relationships among the Sun, Solar System, and interstellar matter; and delving into the core processes of the heliosphere. Completed over 18 months, the decadal report will be used by agencies such as NASA, the National Science Foundation (NSF), and the National Atmospheric and Oceanic Administration (NOAA) to garner Congressional support for its proposed solar and space physics priorities. The survey was sponsored by NASA and NSF, and can be accessed via the National Academies Press at https://www.nap.edu/read/13060/chapter/1. For more information on LASP solar and space physics, please visit http://lasp.colorado.edu/home/science/space-physics/.